Started off the day at the lovely Finca we stayed at last night. 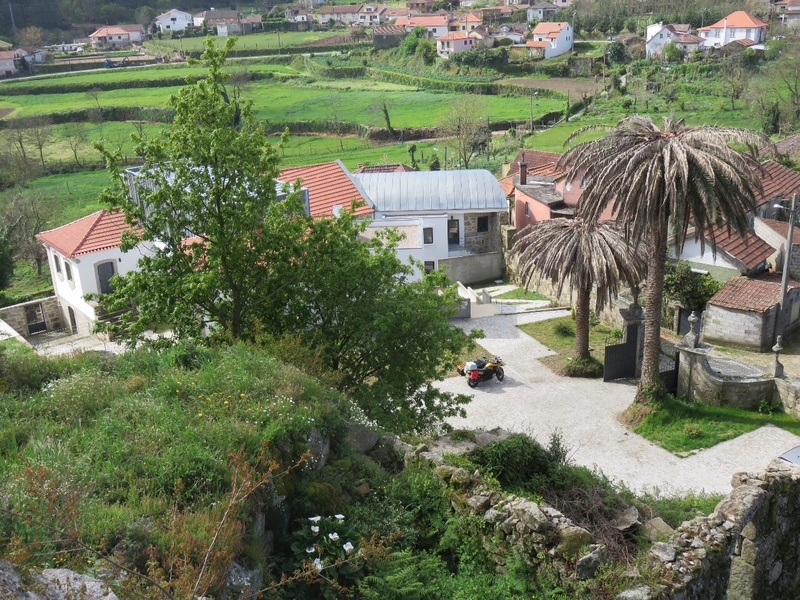 It was very peaceful in the tiny little village of La Zarzuela about 3 miles from the coast. Heading off, we visited Tarifa, surfing capital of Spain, where the winds coming from the Moroccan mountains make great waves. It's a vibrant town, full of many nationalities. Stopping for a coffee at the Mirador de Estrecho we looked across to Morocco, and the rock of Gibraltar. The countryside here is peppered with wind turbines to harness the sheer strength of wind across those Straits. Toward the very end of our 200 mile journey, we stopped for a breather, and a storm started to close in. We packed up and quickly headed off, just to arrive at our stop for the night right in the eye of the storm! Of course, once we were unloaded and the bike garaged, as I sit here writing now the sunshine has returned - let's hope it stays. After a couple of nights staying with Paul's Mum and Dad on the Algarve, and a stop last night at Ayamonte, just over the border into Spain, it was time for moving on again. We wanted to head down toward Tarifa, which is the lowest point of land in Spain, and should arrive there tomorrow, to check things out. 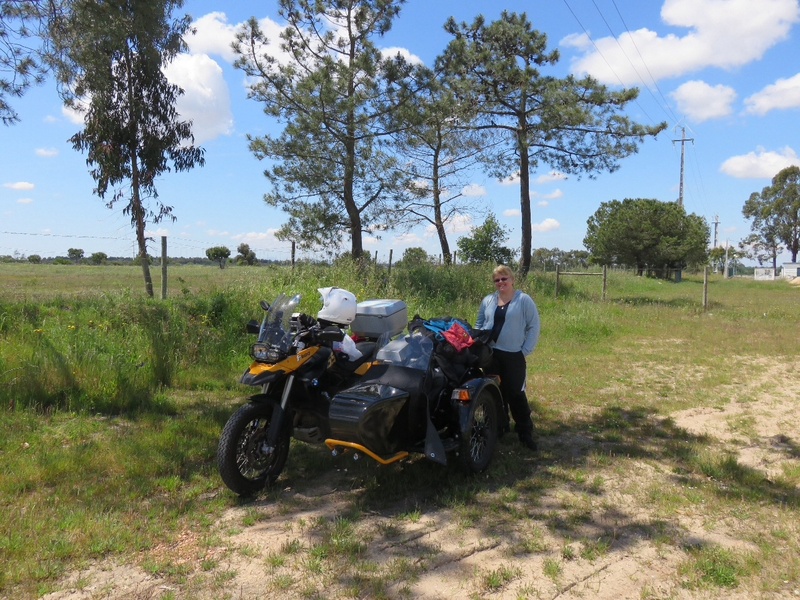 The weather was overcast, but warm, warm enough for no gloves for me at least, as we made our way along the motorway via Huelva, and Seville before turning South toward Cadiz. What was a treat, and passed the time in a very amusing way was the amount of people tooting their horns, and pulling up beside for photos of us or thumbs up. Paul said there were even people pulling right up behind to take photos, when the driver was the only person in the car! The Spanish and Portuguese people are enthusiastic and love nothing more than hanging out the window waving. Paul wondered "if it's like this now, what will it be like in South America?" Set off this morning at 9.30, with 180 miles to go, which would eventually take us to the West Coast. When we stopped for a drink after an hour or so, Paul was cursing the village that had seemed to be "80 miles long". Later in the day we returned to a road we'd been on last year, the IC1, which had signs all along calling it the road of death, and the road surface looked like it had been "carpet bombed" by the RAF. Perhaps a slight exaggeration, but it wasn't very comfortable. Now we have another 900 miles under our belts since Tuesday, each and every mile is getting easier. Today was just one of those days though, I think made worse because Paul has caught a cold, and I was feeling a bit achy. 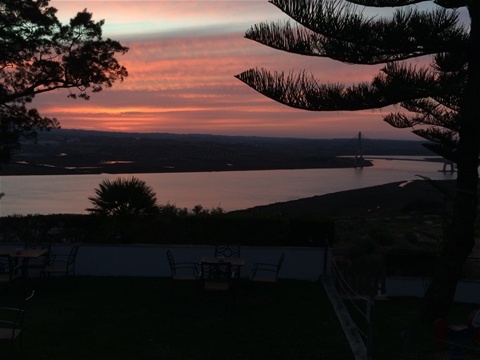 We were both pleased to arrive tonight, and were greeted by clear blue skies and a sea breeze. We're here for a couple of nights, so looking forward to some chilling out, and walks along the beach.